Place tomato then mozzarella around plate until you complete the circle. Add cut cured sausage in the middle. 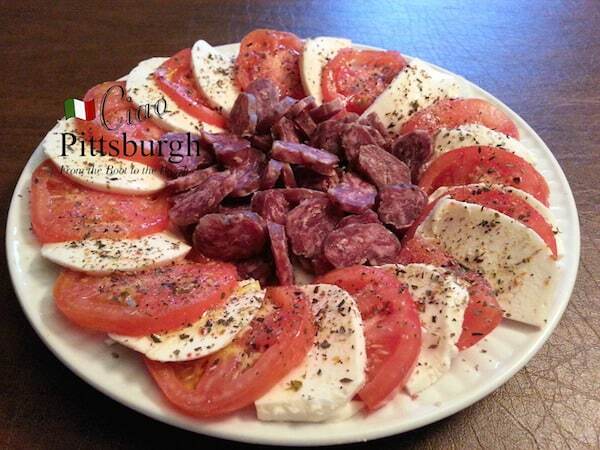 On the cheese and tomatoes, drizzle extra virgin olive oil and then sprinkle Ciao Pittsburgh Aroma seasoning.